The techniques available for human research are more limited, and many questions remain. Although behavior geneticists now possess the techniques to identify genetic influence and to begin to identify specific genes, questions remain regarding which behaviors, actions, and activities of people are the best candidates for behavior-genetic study. Again, alcohol use and abuse provide an illustration. 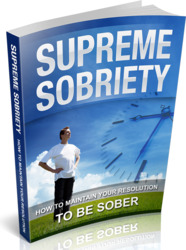 Alcoholism is a major social and medical problem in the United States and in most of the world. It is estimated that 10 percent of men and 4 percent of women in the United States experience alcohol dependency, at a cost of billions of dollars and 100,000 lives annually. Because use of alcohol is typically part of social interactions, familial (and possibly genetic) factors would be expected to contribute to variation in drinking. But where shall we begin its study? Perhaps with diagnosed alcoholism? 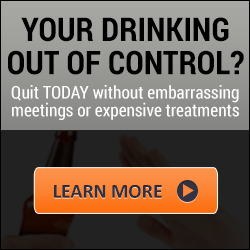 Most adults in our society use alcohol, yet only a fraction of them ever experience clinical symptoms of alcoholism. Perhaps we should begin much earlier, studying the decision to begin drinking? Obviously, one cannot become alcoholic without initiating drinking and then drinking large quantities regularly and with high frequency. Or perhaps much earlier yet, for behavioral predictors of alcoholism can be identified years before alcohol is first consumed. Such predictors are apparent in early childhood, in behaviors evident to the children's parents, teachers, and peers. Long-term (i.e., longitudinal) studies conducted in several countries suggest that, as early as kindergarten and elementary school, behavioral ratings made by parents, teachers, or classmates distinguish children who are more likely to abuse alcohol later, in adolescence and early adulthood. Children who were impulsive, exploratory, excitable, curious, and distractible—and those who were less knocking out deleting a gene or obstructing gene expression oooc ,oc cautious, less fearful, less shy, and less inhibited—have a much greater risk of adult alcoholism than do children without those characteristics. Twin studies have demonstrated that additive genetic variance, as well as familial-environmental influences, significantly contributes to the childhood behaviors that play a central role in the development of alcoholism risk. So, to understand the development of alcoholism, one must appreciate the complex developmental influences that affect children years before they first consume alcohol. Those influences reflect the interactions of disposi-tional differences in children's behavior with variations in their familial, social, and school environments.